Today was mothers day, so I felt it would be appropriate to take a photograph of my mother and my wonderful sister who is also a mommy. Unfortunately, the wind did not want to cooperate with us and the photos did not come out so good. However, my nephew William was very photogenic today, and had it not been for both my mother and my sister, this little dude wouldn’t be here right now. While he was running around on the grass enjoying ice cream with the family, I snapped a few photos. William has some hilarious animated faces. 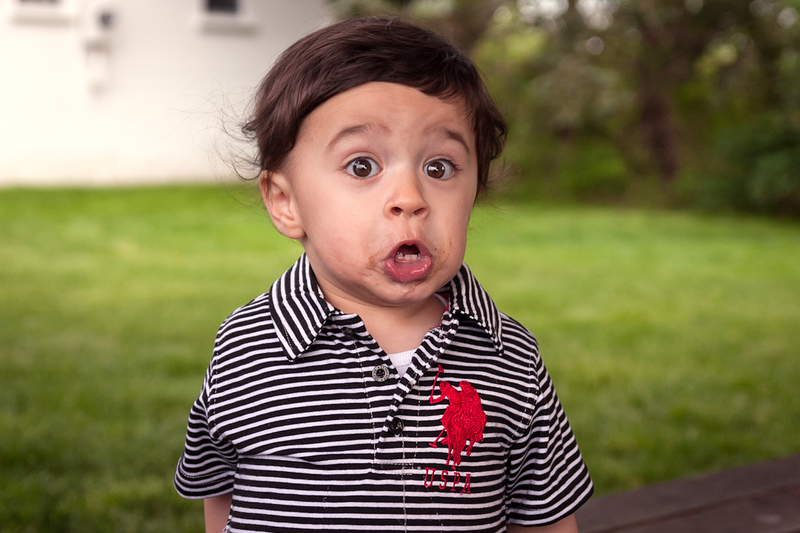 I am not so sure what caused the “oh face”, but it sure is funny. Chances are William will make it in to another 365 photo or two.